Booking flights, finding a hotel, renting a car, finding someone to take care of your houseplants… Going to a Grand Prix is all a little overwhelming, you might be worried of forgetting a thing or two. Well now you can relax – this is the ultimate checklist for a day at a Grand Prix. From the blatantly obvious to those little things you might not have thought of that could make the trip complete – it’s all covered. First and foremost – don’t forget your ticket! It may sound obvious, but that’s exactly why it’s so easy to forget. You may be one of those people who’re happy to leave it to the last minute and buy your ticket at the circuit but more than likely you’ll have received your ticket in advance through the mail or by collecting it in person at the circuit. Leaving this in your hotel room on the day of the race would be a less than ideal way to start your day! If you have separate tickets for Friday, Saturday and Race day, it’s a good idea to separate them and just take the one you’ll need on the day. That way you wont be risking any of the tickets getting lost or stolen. Put them in a waterproof folder or lanyard along with a map of the circuit so you’ll have your bearings. Make sure you keep up your fluids and always keep a bottle of water with you. Some circuits will impose restrictions on the amount and type of beverages you can take into the circuit. Generally speaking 500ml of water contained in a clear plastic bottle should be OK. Inside there will sometimes be a water fountain where you can refill the bottle free of charge.There will be food available inside but the range will vary considerably from venue to venue and wherever you are it’ll be pricey. You might as well get organized and bring your own food. If it’s going to be hot, don’t bring food that doesn’t like high temperatures or is messy (hint: leave the bananas at home!). Picnic food works well along with a few musli bars for when you need a quick energy boost. Like at any large event everything inside will cost a premium, and however prepared and disciplined you are, you’re always going to end up spending more than you expect, so budget generously. The long periods of waiting between the action is enough to push even the most frugal of spectators into an impulse buy frenzy.Of course there’s always food and drink to tempt you, not to mention the official program, entertainment such as simulators and go-karts, and merchandise galore at the F1 Village. Consider taking about 30 euros per person for food and drink and if you think you’ll buy merchandise, there’s no limit to how much you could spend. ATM’s are available at a number of venues, but you’d be better off bringing plenty of cash in with you unless you like waiting in line. For some of you budding photographers, capturing the perfect shot of a Formula 1 car through your lens is what it’s all about. Others will just want to preserve the memories of a great weekend with your mates and make your Facebook friends jealous. Whatever level of photographer you are, bring enough battery power and memory capacity to last the day. There’s nothing worse than running out of power just as the drivers are spraying the champagne. You’re likely to take more photos than you think, given the difficulty in taking a good shot of an F1 car at speed. Don’t be surprised if you have a lot of pictures of empty asphalt. Also, bring a suitable camara bag that will keep everything dry in the event of a downpour. If you’re in general admission you could be in for long periods of standing which if you’re not used to, can be grueling. Consider taking a collapsible chair or stool (if allowed by the circuit) especially for the periods between track sessions. If rain is a possibility, I would at least bring something waterproof to put on the ground in order to stay dry and comfortable. An umbrella to protect you from the elements is a wise accompaniment for a day at the races. If all the walking gets too much you can fold it up and use it as a walking stick. 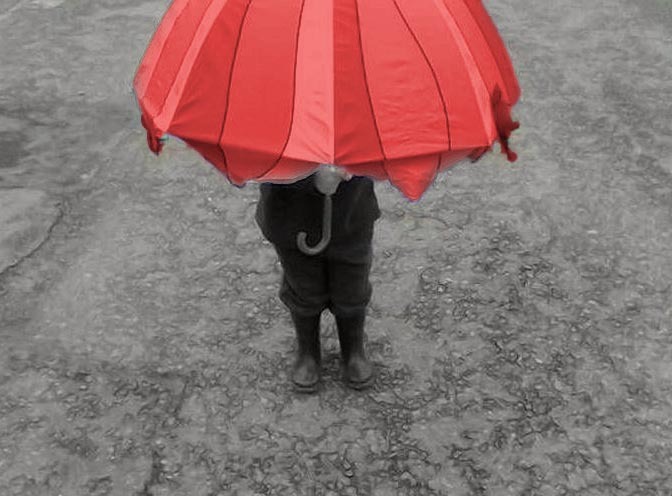 I’ve also found that bringing an umbrella is one of the surest ways to garantee it won’t rain. Just keep in mind that large umberellas can really ruin another fans view so use it sensitively. Dress for the weather. On a wet weekend a light weight rain jacket or poncho that can be easily carried during the dry spells is ideal. Otherwise wear light comfortable clothes and a broad-rimmed hat or baseball cap to keep the sun off. A good comfortable pair of worn-in walking shoes is a must especially for general admission ticket holders. In between the excitement you should expect a lot of walking, standing, queuing…and more walking. Sunscreen. Even on a cloudy day you could get burned standing so long in one spot. If you forget it, you’l find first aid stations dotted about the circuit which may be able to help. However much you might love the sound of an F1 car, at some point you’ll probably need to block your ears. Not quite so important since 2014’s new engine regs perhaps but if you are very close to the track, at a high speed section or when several cars in close proximity it is still quite loud. Ear plugs or ear defenders? Ah the eternal debate. Well, whether you’re the type to plug up or not they are available at the circuit, but if you’re getting ear muffs you may be better off (financially at least) buying them at a more reasonable price in a hardware store before you go. If you’re bringing the little ones I highly recommend them. A portable radio is a handy accompaniment to stay informed and make the time between the action pass a little quicker. The radio can be tuned to the race circuit’s own broadcast if it has one, or whichever local or national station you prefer. Absolutely no sodcasting of the latest Justin Bieber song though. A decent pair of binoculars are usually worth the extra weight. If you have a view of the pits or starting grid straight they’ll let you see all the action in a lot more detail. They’re useful too for reading that little pixelated writing on the big screens such as lap times, pit stop times, positions etc. There’s a growing amount of apps available for your smartphone/tablet that make following the race easier. Baby wipes are great for these sort of occasions especially if you’ve brought the rugrats. Perfect for a post lunch clean up or after touching that strangly sticky handrail. Also an idea to bring some toilet paper for, well, you know. A good reliable pen for those autographs. You can bring a notepad if you wish, or just use whatever merchandise is to hand or the official program.